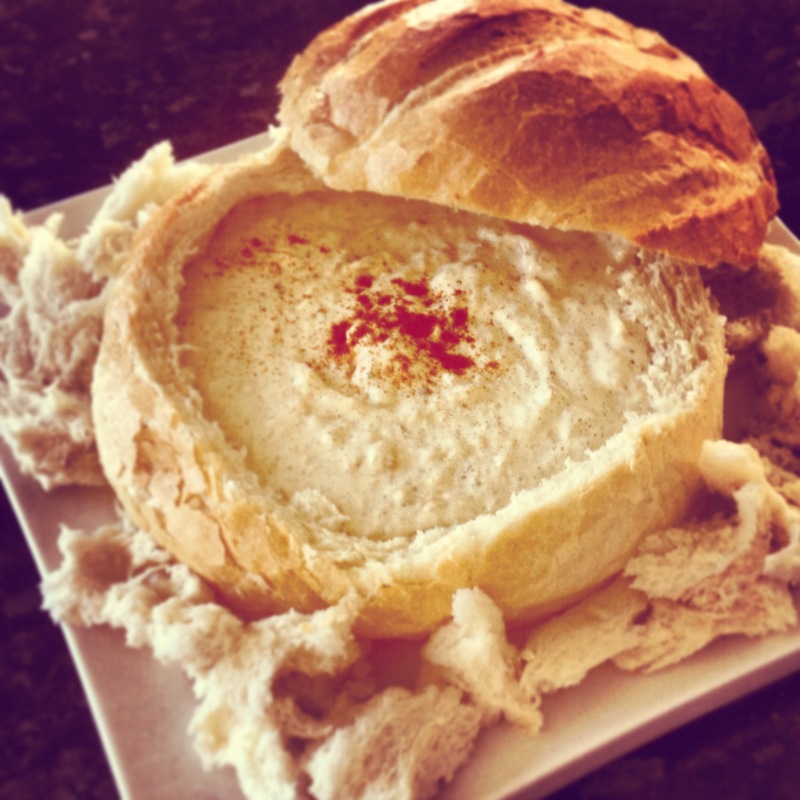 A few weekends ago I went to a BBQ with a delicious cob loaf dip that I had not seen before. After much pestering I was given the recipe and I wanted to share it with you. Omitting the frozen spinach of a more traditional cob loaf dip recipe means you can make it in a flash, I’m talking under five minutes, and you can whip it up as a go snack for bring-a-plate parties when you are pressed for time. Drain the salmon and add to a medium sized bowl. Remove the bones and mash. Add the sour cream, cream cheese and spring vegetable soup mix and stir until well combined. Cut the top off the cob loaf and carefully pull out the bread from inside making a bowl of sorts. Make sure you don’t get too over excited with this step and put a whole in the crust or your mixture will leak out. Some people like to toast the bread bowl and bread but I don’t as I find the bread becomes almost stale as it cools and jabs you in the mouth when you try and chew it. Transfer your bread bowl to a nice plate, scatter the bread pieces around the outside, spoon in your mixture and place the bread lid askew. I also sprinkled some paprika on the top of the dip so it didn’t look like a beige blob, but that is optional.